We are experienced in all aspects of block paving, including power washing and re-sealing your existing driveway, path or patio. We also clean natural stone patios. Block paving and patio cleaning is increasing in demand and Alexander Driveways have staff are fully experienced in cleaning and restoring your blocked paved driveway, patio or pathways. If the driveway has been neglected, or it's been a while since its been cleaned, we can treat it with a propriety brand of weed killer prior to undertaking the cleaning. After cleaning and a weed/fungicidal treatment, we can seal the surface with a high quality acrylic sealant. After a full tidy up with all detritus bagged up and removed we will allow a suitable drying time before re-introducing any displaced kiln dried sand which we sweep in to secure the blocks. 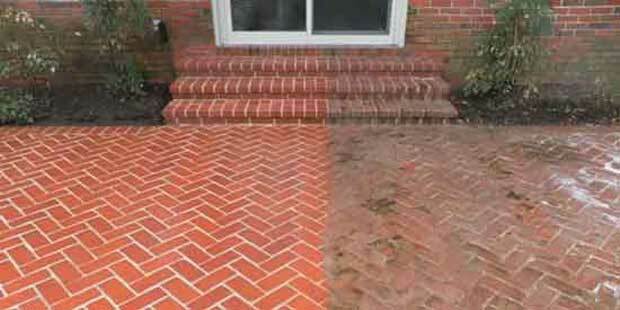 Block paving cleaning and driveway cleaning Durham, County Durham and Chester-le-Street.